Dr. Shahla Ala’i-Rosales received her B.S. from Southern Illinois University and her M.A. and Ph.D. from the University of Kansas. 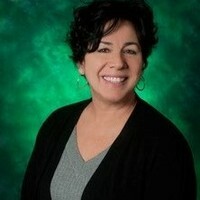 She is an Associate Professor in the Department of Behavior Analysis at the University of North Texas and the director of the North Texas Autism Project (NTAP). NTAP is a service, training and research program working in cooperation with several global partners, with applied anthropologists, and with Easter Seals North Texas. Shahla teaches classes on ethics, autism intervention, parent training, applied research methods, and behavior change techniques. Shahla served on the governing board of the Behavior Analysis Certification Board (BACB) and as a subject matter expert on supervision and on ethics. She has published and presented research on ethics in early intervention, play and social skills, change agent training, conditioned reinforcement, and evidence-based practice. She was awarded an Onassis Foundation Fellowship for her work with families and was also the recipient of the “Fessor Grahm” award, UNT’s most cherished teaching award. She is currently collaborating on a book that explores the role of love and science in autism interventions.